The UK’s HHK Magazine (aka Hip Hop Kings) has been running a popular “25 Facts” series for the past few years where artists provide exclusive and previously unknown information about themselves and their upcoming new release. Latest in the series is a focus on NY State rapper Tone Chop and Winnipeg producer Frost Gamble who, despite having been rap battle rivals in the 90’s and subsequent partners in rhyme & tagging, release their first collaborative project on November 18th. In the feature they reveal how they came by their artist names, the recording process of the EP, their most rated producers and Emcees and their involvement in the rap battle and graffiti scenes. From the EP, and available to buy now from iTunes, is their first single “Leave It Alone”. A tribute to the late Sean Price, it features Ruste Juxx and Nobi. They followed that with a bonus cut “Being A Boss” which uses the Jadakiss and Nate Dogg joint “Time’s Up” for the hook, and is available to download free direct from the audio stream on Soundcloud. Look out for extensive international media coverage on the release in the weeks ahead. 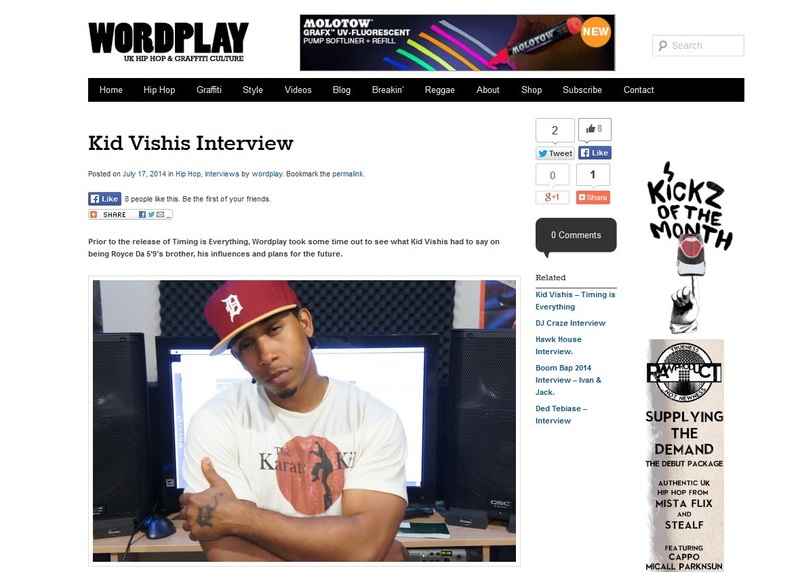 The UK’s Wordplay Magazine is published in print and also has an online platform, covering hip hop artists and their releases with reviews, interviews and news. They also cover the culture more generally, reporting on graffiti, fashion, breakin and events. 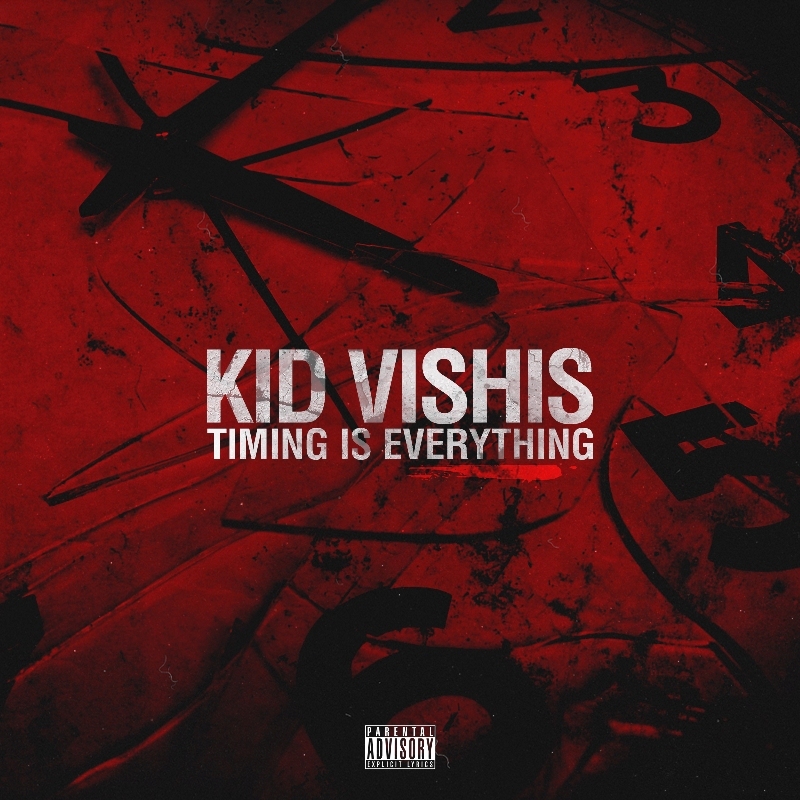 They spoke to Detroit MC Kid Vishis recently in the lead up to the release of his debut album “Timing is Everything” on Tuesday 22nd July 2014. The UK’s Wordplay Magazine is published both online and in physical print, and covers the full spectrum of hip hop culture; music, graffiti, breakin, fashion and much more. Always worth picking up a copy of their physical magazine, usually on a quarterly basis, makes for interesting reading. 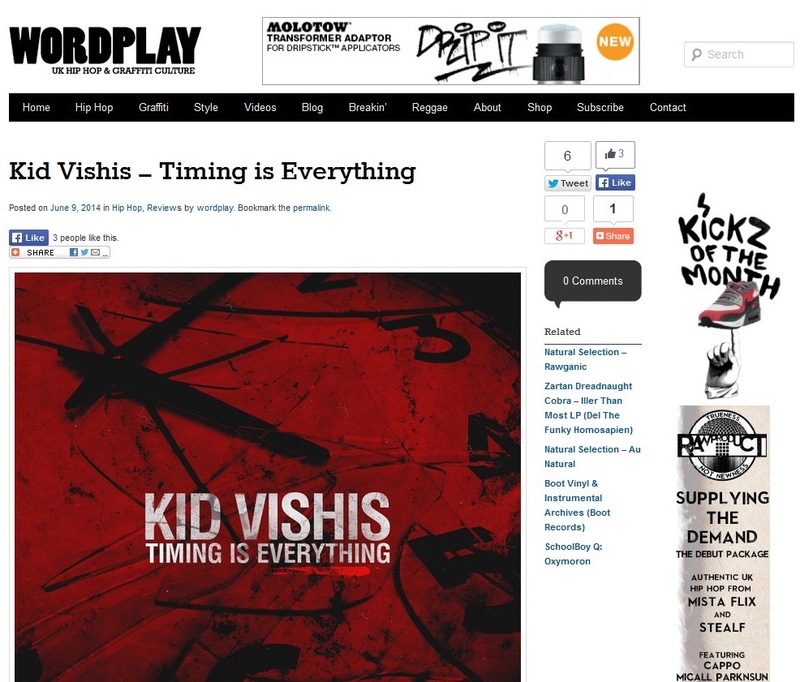 Their online version have just reviewed the new album by Detroit’s Kid Vishis. “Timing is Everything” is in fact the debut studio album by the younger brother of Royce da 5 9, and is out 22nd July on Seven 13 Entertainment. 2007 saw the first his Sick ‘EM mixtape series with two more following in 2011 & 2013, and having also appeared on all of his brother’s Bar Exam mixtapes and albums “Street Hop” & “Success is Certain”, his first official album has been one of the most eagerly anticipated for the past few years. Two singles have already been released from the album, Heaven (which is featured in the video trailer) and Look at All My $hit. The full press release can be read HERE. UrbanElite PR will be servicing the album to media in all territories outwith the USA shortly, however will accept requests for copies of the album to review, or requests to interview Kid Vishis from members of the press in any country, including the States.